Doral Sands is one of the exclusive communities that surround Doral Park Country Club. Located in the constantly growing city of Doral, Doral Sands real estate offers its residents a great family-oriented neighborhood that is home to a close-knit community of neighbors in the truest sense of the word. This gated community features tree-lined streets with elegant, mid-sized homes and perfectly manicured lawns. Located in the heart of Doral, Doral Sands is in the ideal part of the city that is close to everything. As a community within Doral Park Country Club, Doral Sands is surrounded by one of the top PGA golf courses that is part of the Doral Golf Resort and Spa. 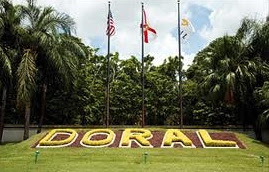 Doral is a city in Miami-Dade County that is well-sought after with international businesses with facilities in the United States. Because of its close proximity to international ports, airports and major thoroughfares, it is also very well-liked by exporters. Because of this, Doral has a high concentration of the professional sector of the area’s population. Doral Sands real estate has a lot to offer its residents in terms of community amenities. Not only does it benefit from being intertwined with the Doral Golf Resort’s Jim McLean signature course, it has the advantage of being one of the exclusive communities within Doral Park Country Club. Some of the amenities that accompany this are tennis and basketball courts, a fantastic swimming pool, fitness center and an excellent playground. Activities and events within the Clubhouse cater to families, retired groups, and anyone living in Doral Sands. From Easter egg hunts to weekly bridge club and mahjong games to community tennis tournaments, there is always something going on within the community. Residences within Doral Sands feature updated amenities like gourmet kitchens with high-end appliances, granite counter tops and lots of cabinet space, oversized master bedrooms and spa-like master baths. Many homes have large screened in porches that open up to expansive patios with private pools and tropical landscaping. 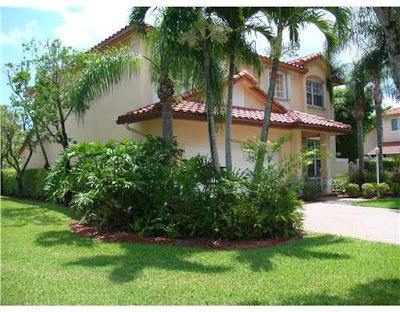 Doral real estate in and of itself is an excellent investment that has consistently increased over the years. Homes in the Doral Park Country Club communities take that one step further with the fact that less than a handful of properties are for sale in each community. 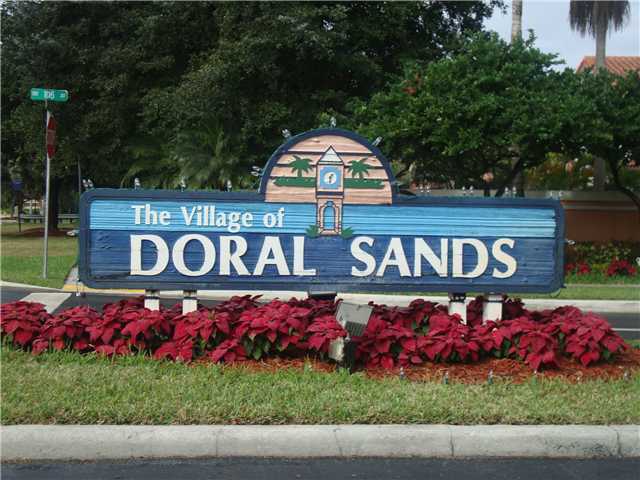 Doral Sands real estate features some of the higher priced properties in all of Doral Park. All single-family homes, list prices in Doral Sands range between about $400K and $600K with sizes ranging between 2,000 and 3,500 square feet. In the past six months, six homes have sold with the average number of days on the market at about 148 days and sale prices in the same range as those listed for sale. Doral Sands has expenses that come with living in the community that include property taxes typically in the $5,000 to $8,000 range, monthly HOA fees of $210 and monthly clubhouse fees at about $95 (includes use of all clubhouse amenities). Doral Sands is also popular with investors who are interested in rental and investment property. Doral Sands rentals typically have a monthly rental rate ranging anywhere between $2,500 and $3,500 and are popular with golfers and those who spend time in the area during the winter months. For anyone looking at Doral real estate, Doral Sands has some of the best. This is an awesome neighborhood that the residents love. The homes are of a nice quality and the home values are solid. Add that to the perfect surroundings and it is easy to see why Doral Sands is a great place to live.